This course provides key financial principles that help you learn how to work on your business, not just in your business. This simple approach to financial planning will help you understand the big picture view as well as make critical production decisions based on a clear sense of cost of production for different enterprises. You will develop a financial plan and identify ways to implement and monitor that plan. You’ll learn the key economic analysis tools for improved financial decisions for both annual budgets and for long-term investment. Increasing creativity in planning and marketing for more profit. More opportunity to engage with and learn from the international network of Holistic Management practitioners. Classes require a minimum of 10 and are restricted to a maximum of 35 participants. Your information is secure and will never be sold or shared. This course is seven weeks long and you should plan on about 2 – 4 hours each week participating in the webinars and completing the assignments. While the webinars are scheduled at a particular time, you will be able to complete the assignments at any time during the week. Don’t worry if you miss a webinar, we’ll be recording them and you can view it before the next scheduled webinar. Assignments may include watching videos, reading and written exercises. With real-time audio, video and whiteboard capabilities our learning environment allows you to stay connected for a more engaging learning experience. You are encouraged to contribute to class discussions (either on the webinar or online forum). You can build relationships with other students from across the country and maybe even the world. You’ll also receive a FREE one-year introductory electronic subscription to IN PRACTICE and a certificate upon completion of the course. The goal of this conference is to broaden risk management education programming for agricultural producers, to encourage new programming efforts, and to strengthen existing programs. The 2019 ERME National Conference will bring together public and private sector educators, crop insurance agents, lenders, and other agricultural professionals to share ongoing and emerging successful risk management education efforts that target agricultural producers and their families. Conference participants will learn about what is working to help producers effectively manage the financial, production, marketing, legal and human risks associated with their agribusinesses. Concurrent Session and Poster presentation proposals are being solicited which highlight successful risk management education programming and its impacts. Abstract submission is encouraged from any public or private entity involved in risk management education for agricultural producers, regardless of whether the project was funded through a regional ERME Center. Presentations should be geared toward educators (rather than producers) andshould demonstrate impacts as a result of the educational efforts. Format of proposals: Proposals will be accepted online, beginning November 1, 2018. To submit a proposal for a concurrent session presentation or a poster display, please go to the conference page on the ERME website (http://erme.events/erme2019) and click on the “Call for Presentations” link. There you will be able to register your proposal and provide an abstract (maximum of 250 words) describing your educational effort, and how it was of benefit to the participants. Length of sessions: 30 minute Concurrent Sessions are available. Please bear in mind that we would like presenters to allow 5-10 minutes at the end the session for questions and interaction. Poster exhibits: Tables and poster walls will both be available to exhibit posters. Conference participants will have an opportunity to interact with the poster authors during an evening networking reception on April 3rd. Concurrent Session and Poster exhibit topics may include programming related to any of the five areas of risk addressed by agricultural RME including: financial, production, marketing, legal and human. Please note that the 2019 conference will again include a “Women in Ag” Track. Proposals are sought that represent a cross section of programming specifically designed to address the risk management education needs of women producers, and the impacts demonstrated as a result of the educational efforts geared toward this targeted group. The Conference Planning Committee encourages all concurrent session and poster presenters tofocus on the risk management results that producers achieved through participation in their educational projects. Legal immigrant farmers and ranchers who are attempting to become established in the U.S.
A peer review committee will consider each proposal submitted by the deadline of January 15, 2019. Decisions will be made on or around February 11, at which time presenters will be notified. Workshop and poster presenters are expected to register, pay, and participate in the entire Conference (April 3-4, 2019). The Conference will begin early on the morning of April 3 and will conclude at noon on April 4. The Pre-Conference Seminar, for those who choose to attend, will take place on the afternoon of April 2. Behavioral Economics is the theme for the Pre-Conference. Concurrent session presenters should be prepared to submit an electronic copy of their presentation prior to the conference. Further instructions will be provided at a later date. A limited amount of travel assistance will be available through the regional ERME Centers. Please note that in order to be eligible, recipients of ERME travel assistance must register for and attend the entire conference (and stay at the host hotel). Expenses will be reimbursed upon submission of evidence of participation in the entire conference, a travel expense report and appropriate receipts, including a hotel receipt. We strongly encourage early career agricultural educators to consider attending this professional development conference. Please contact your regional ERME Center for availability and additional details and information. If you have any questions, please contact Laurie Wolinski (lgw@udel.edu, 302-831-2538) or Susan Olson (sbolson@udel.edu, 302-831-6540). More information to be posted in the coming months – visit http://georgiaforages.caes.uga.edu for information and more events. This Field Day will explore grass-finished beef production and marketing. Through a visit to Elmwood Stock Farm’s pastures and discussion, participants will learn about the Farm’s strategies for raising certified organic, grass-fed, grass-finished beef, including their regenerative grazing and rotation practices, disciplined management of year-round forage, and an understanding of their animals’ development and genetics. Participants will learn about Elmwood’s approach to direct-marketing pure grass-finished beef to customers, including high-quality processing; selection and cooking preparation of meat cuts; and consumer education. 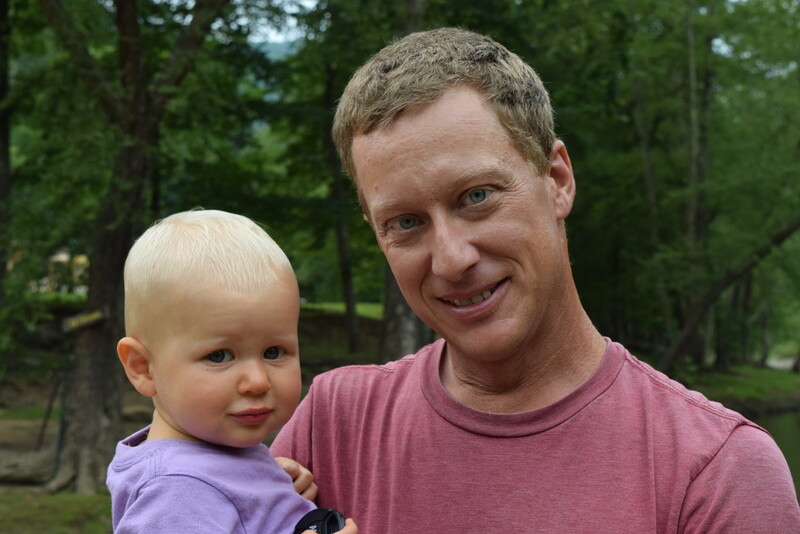 Elmwood Stock Farm is a 550-acre, certified organic, multi-generational family farm in Scott County, producing vegetables, beef, poultry, and lamb for local and regional markets. 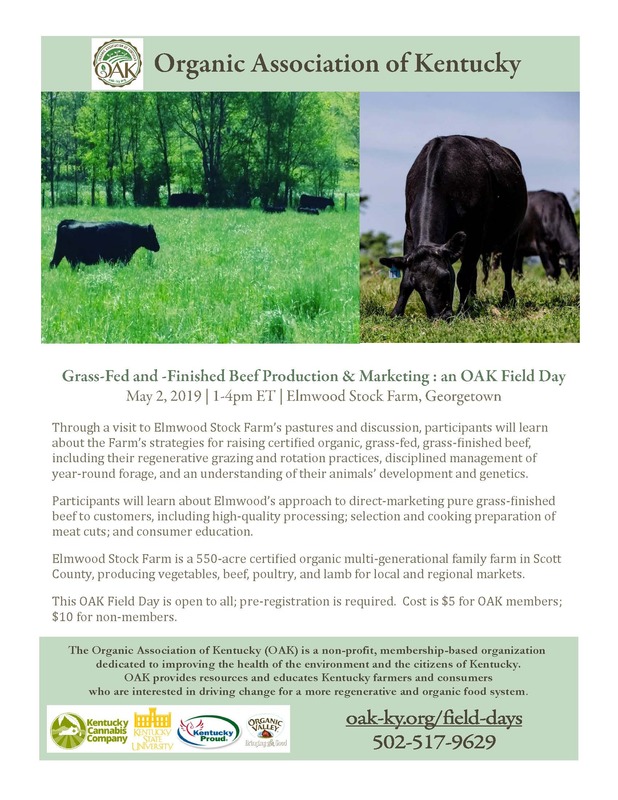 This OAK Field Day is open to all; pre-registration is required. Cost is $5 for OAK members; $10 for non-members. Visit oak-ky.org/field-days or call 502-517-9629 for questions or to register. Find simple strategies to reduce your workload and increase profit. Create a plan to improve the financial health of your ranch. Get everyone on the same page regarding the purpose and direction of the business. Create systems to hold people accountable for results and improve relationships. Discover tools that will lead to better decisions and give you more confidence in your decisions. Improve the productivity of pastures without seeding, spraying or other counter-productive practices. Increase carrying capacity while reducing your workload and cutting operating costs. Reduce stress and increase the joy you and your team derive from ranching. Create a business that can support multiple families and that people want to be a part of. Draft your management succession plan. pay your deposit of $300 (USD) per person. $2,750 tuition for the first person from a business and $2,000 for each additional person attending from that same business. *A non-refundable $300 deposit per person is required for all registrations. A payment plan is available. The fee for repeating the school is $500 which is paid at registration. Please provide the following contact information for each person attending from your business. please call (707) 429-2292 to ensure space is available.